Welcome to this EATON’s guide, which is about starters, devices that control the use of electrical power to equipment, usually a motor. As the name implies, starters “start” motors. They can also stop them, reverse them, accelerate them, and protect them. 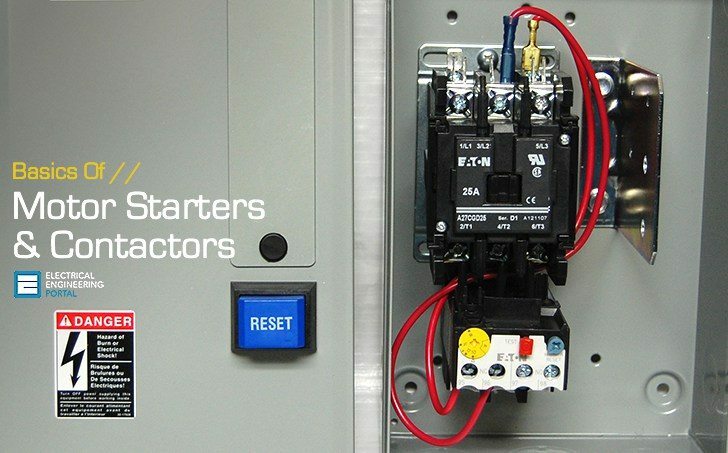 A contactor can stand on its own as a power control device, or as part of a starter. Contactors are used in applications ranging from the light switch to the most complex, automated industrial equipment. Contactors are used by electrical equipment that is frequently turned off and on (opening and closing the circuit), such as lights, heaters, and motors. Whatever the application, the function of the contactor is always the same: to make and break all power supply lines running to a load. Or, as defined by NEMA, to repeatedly establish and interrupt an electrical power circuit. 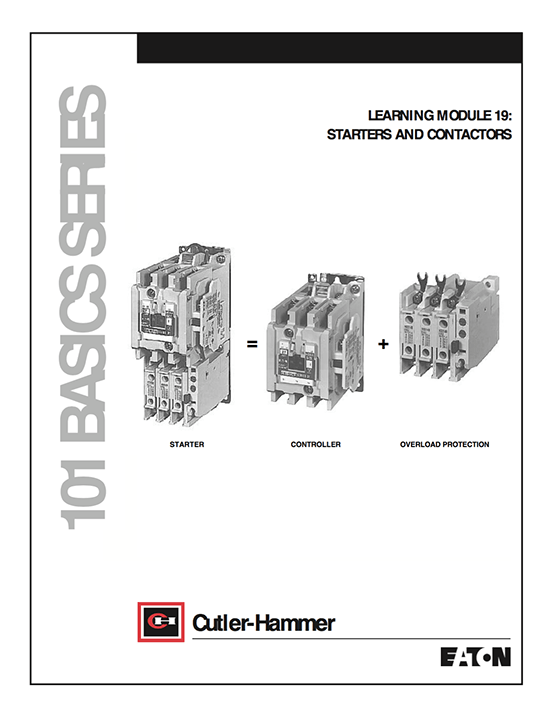 We’ll start by talking about the building blocks of a starter: the contactor and overload protection. We will then conclude with a discussion on starters.